Join me for a day filled with creative adventure and abandon. 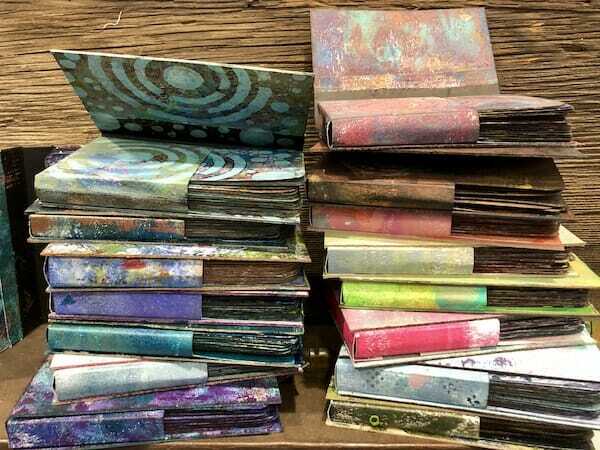 This one-day workshop is the sequel to 52 Card Pickup – only bigger, better and badder. 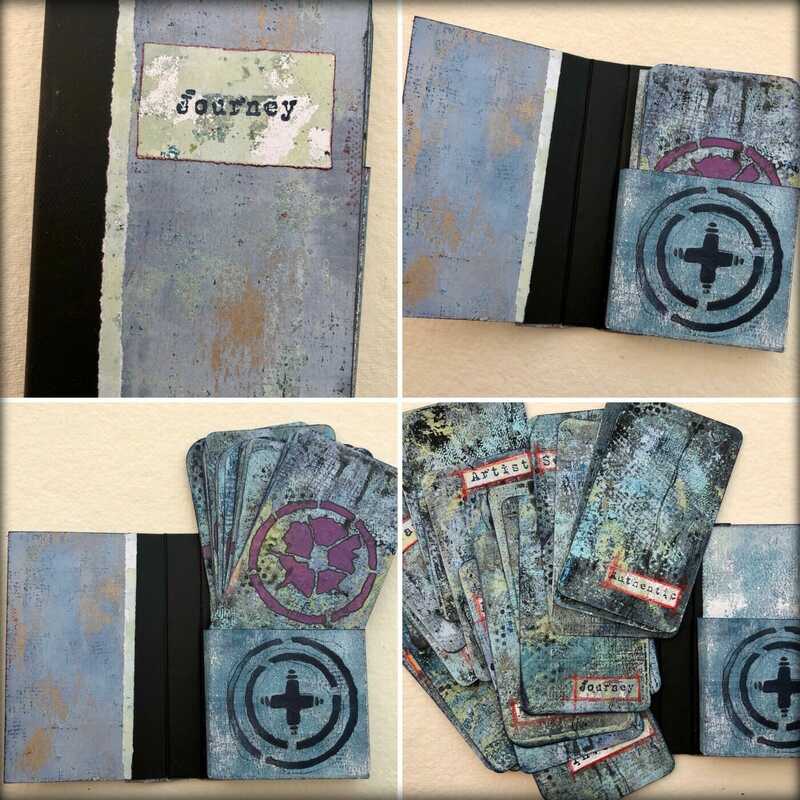 We will be using flash cards to create a large art deck and a pocket-case for storage. The focus of this class is to create without thinking and to learn to let go. All the approaches in this technique-heavy workshop will help free you from artistic constraints and can be easily applied to your own personal work in your studio. Working in layers, we will be developing dynamic surfaces that call out to seen and touched. Raise your art-game ante and join me for this fast-paced and fun class. 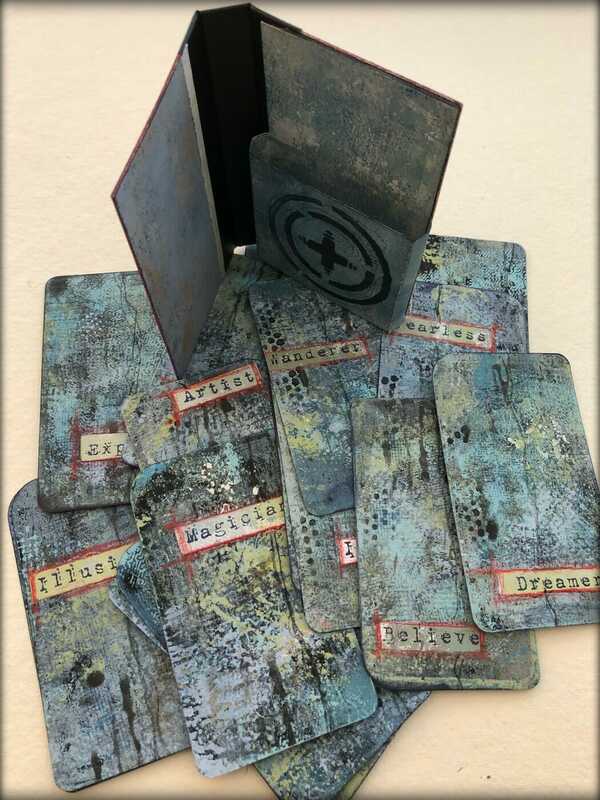 Instructor will provide: All materials to make card case, paper, stamps & stencils to share, and assorted mixed media surprises.